The founder of the fledgling Islamic Association of South Australia (IASA) has warned a lack of tolerance could spark violence, after a man who allegedly grabbed a woman's headscarf was released on bail. 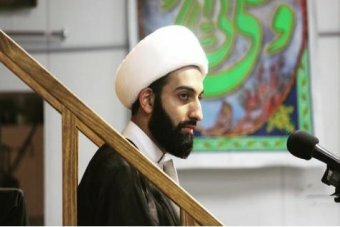 The imam of IASA, who goes by the name Shaikh M Tawhidi, today released a statement saying he feared a day "where the Muslim community might take matters into their own hands to protect their women and mothers". SA Police today arrested and charged a 27-year-old man from Kilburn in Adelaide's inner-north with assault and offensive behaviour on a passenger vehicle. They alleged he grabbed a young woman's headscarf as she got on a bus at Churchill Road on March 16 and intimidated her for the rest of the bus journey into the city.